Environmental assessment of Peruvian anchoveta food products: is less refined better? 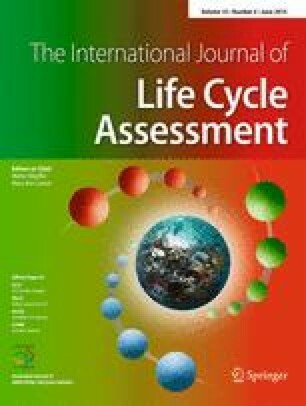 Life cycle assessments (LCAs) of various anchovy (anchoveta) direct human consumption products processed in Peru were carried out, to evaluate their relative environmental performance as alternative products to enhance nutrition of communities with low access to fish products in the country. LCA was carried out for fresh, frozen, canned, salted and cured anchoveta products, both at plant gate and featuring local and national distribution over non-refrigerated, chilled and fully refrigerated distribution chain. The functional unit used was 1 kg of fish in the final product. Results demonstrate that, in environmental terms, more-refined products (cured and canned anchoveta products) represent a much higher burden than less- refined products (fresh, frozen and salted). Although this is a likely result, the magnitude of this difference (4 to 27 times when expressed as an environmental single score) is higher than expected and had not been quantified before for salted and cured products, as far as we know. This difference is mainly due to differences in energy consumption between types of products. Furthermore, cured and salted products feature larger biotic resource use, when calculated based on the whole fish equivalent, due to higher processing losses/discards. The relevance of taking into account the different transportation and storage needs is highlighted. For those products requiring refrigerated transportation and storage, over a national distribution chain, those activities increase the overall environmental impacts of the products by 55 % (fresh chilled) to 67 % (frozen). However, such an increase does not worsen the environmental performance of fresh and frozen products in comparison to the energy-intensive canned and cured products. It is concluded that a more sustainability-oriented analysis, including the social and economic pillars of sustainability, is required towards decision-making involving promotion of either product for addressing nutritional deficiencies in Peru. This work, carried out by a member of the Anchoveta Supply Chain (ANCHOVETA-SC) project (http://anchoveta-sc.wikispaces.com) is a contribution to the International Join Laboratory “Dynamics of the Humboldt Current system” (LMI-DISCOH) coordinated by the Institut de Recherche pour le Développement (IRD) and the Instituto del Mar del Peru (IMARPE) and gathering several other institutions. It was carried out under the sponsoring of the Direction des Programmes de Recherche et de la formation au Sud (DPF) of the IRD. We acknowledge Francisco Miro, Alberto Salas (ITP) and Pablo Echevarría (Compañía Americana de Conservas SAC) for their support in data gathering.